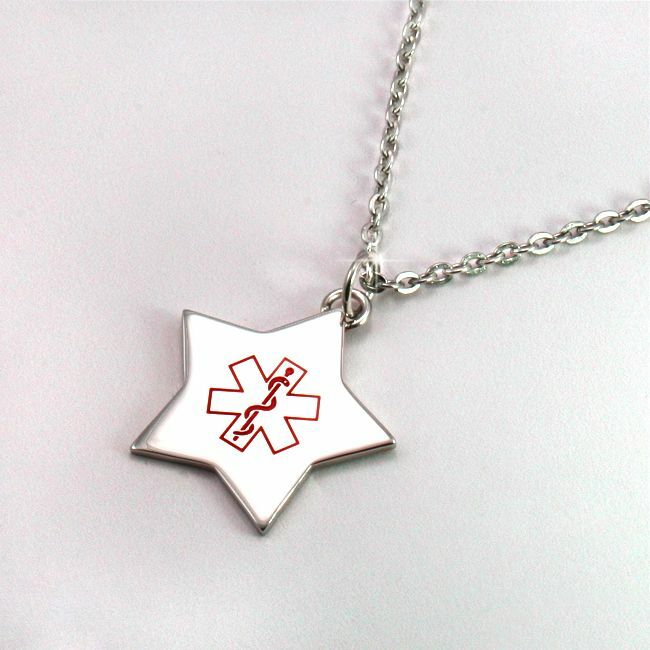 Medical Steel Chain Necklace with Custom Engraved Star. A lovely girl’s or ladies steel chain necklace with engraving. 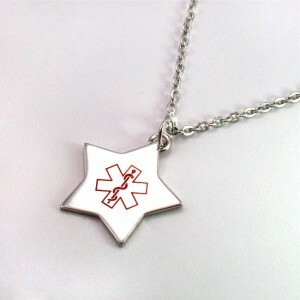 High quality steel star which can be engraved with your own words. Free engraving on the star. Free delivery to UK addresses!